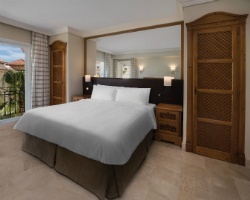 Combine your dream beach vacation with a romantic European retreat, and you'll have the Marriott Marbella Beach Resort. Find luxurious timeshare accommodations at the resort for up to 70% below retail price today with SellMyTimeshareNow.com. Set amidst sun, sand, and surf, the Marriott Marbella Beach Resort brings you to the center of Southern Spain and Old World Europe. Located right on the beach in Marbella, you'll have direct access to all the city's attractions and charm. Relax by the tranquil shores of nearby Elviria Beach, or discover the quaint beauty of Marbella's Old Town just a few minutes away. Spend your days lazing in the Mediterranean sun or exploring the Moorish castles and Roman ruins that dot the landscape of Andalusia. 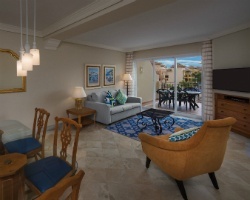 The resort's lavish one, two, and three bedroom apartments are perfect for couples and groups of all sizes. With common in-unit amenities including whirlpool bathtubs, private balconies, and full kitchens, you'll have everything you need to take in the beauty of Marbella while still feeling right at home. Regardless of how you plan on spending your Spanish retreat, you can do it comfortably and affordably from Marriott's Marbella Beach Resort. 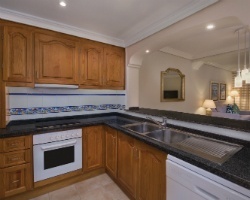 If you're ready to guarantee your own yearly accommodations in Marbella, you can find affordable timeshare resales and rentals at the Marbella Beach Resort right here on SellMyTimeshareNow.com. Fill out the form on this page or call 1-877-815-4227. A timeshare resale at Marriott's Marbella Beach Resort can enable you to secure great accommodations on the beach in Spain for thousands less. Since timeshare resales are listed for-sale-by-owner, they're often priced significantly less than what the resort offers—sometimes up to 70% lower than retail price. This enables vacationers like you to save big on the same great accommodations. Marriott Marbella timeshare resales are typically available in deeded or floating weeks at annual ownership intervals. Additionally, timeshare units at the resort fall into Marriott Vacation Club's Silver, Gold and Platinum seasons, giving you plenty of options and variety when making a choice. Affiliated with the Marriott Vacation Club, a timeshare resale at the Marbella Beach Resort offers an unprecedented opportunity. With Marriott Marbella resales, you can enter the Marriott Vacation Club easily and more affordably than ever. Celebrated as a resale-friendly timeshare brand, Marriott allows resale buyers to use their deeded week to make reservations at the Marbella Beach Resort. Additionally, you can choose to upgrade into the Marriott Vacation Club Destinations program, which features points-based reservations and internal exchanges with other Marriott resorts. Marriott's Marbella Beach Resort is also affiliated with Interval International, one of the most popular timeshare exchange companies in the industry. A separate Interval membership can enable you to exchange your timeshare accommodations at the Marbella Beach Resort for stays at other resorts around the world. What's more, the Marbella Beach Resort is an Interval International Elite Resort, the highest ranking an affiliated property can achieve. Noting its superb amenities and services, it will likely prove to provide greater trading power when you look to make an exchange. At Marriott's Marbella Beach Resort, you'll have enough on-site amenities and services to make your stay comfortable. For starters, the five swimming pools will provide plenty of spots for kids and adults alike to cool off. The resort's sauna is the perfect place to unwind, while the fully-equipped fitness center is ideal for those looking to burn some calories. The resort also includes four distinct eateries, including El Med and the Beachside Bar and Grille, which serve up signature dishes as well as ice cold cocktails. Last, but certainly not least, the beautiful Elviria Beach is located directly on the resort's grounds. Nearby, all of Marbella is open for you to explore. Shopping, dining, and sightseeing are popular activities around Old Town, just a 15-minute drive away. The Costa del Sol area includes a wide variety of activities and things to do, including popular nightlife at Puerto Banus and a history lesson at Museo del Grabado. Golfers will relish the opportunity to hit the links at courses like Santa Clara Golf Marbella, while watersports enthusiasts will enjoy the ample opportunities to surf, waterski, and parasail in the Mediterranean's warm waters. 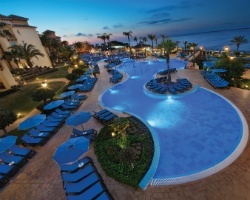 Already Own at Marriott's Marbella Beach Resort?